The source for New Zealand Television information! "Television 'arrived' in New Zealand last night. The event: First live presentations and official programme on channel 2, Auckland. The verdict: A dignified, successful entry. This was a slick and thoroughly professional TV production - a contrast with some experimental Monday night television presented here." New Zealand�s official Television transmission on Auckland regional station AKTV-2 begins at 7.30pm with a 2 & 1/2 hour opening show. The first show to appear was 'The Adventures of Robin Hood', plus among the first live local performances were 'The Howard Morrison Quartet'. 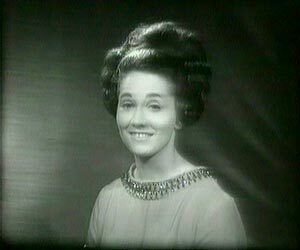 Other programmes to appear on TV's opening night, the first live local item 'On The Doorstep', in which Ian Watkins interviews English ballerina Beryl Grey. Then another imported programme from the USA, The Malls of Ivy. A British documentary called Your Children's Eyes and then the final show for the night - Four Just men, an episode from an American adaptation of the Edgar Wallace novel. What would become New Zealand's longest running overseas show of any kind debuted. The night-time British drama Coronation Street began, and to this day is still rated in the Top 10 shows of the week. It has never been out of the primetime line-up. The New Zealand Rural/farming show Country Calendar begins it's life as New Zealands longest running local show, making its first broadcast at 7.15pm on 6 March 1966 and is hosted by Fred Barnes. It was broadcasted on the Sunday nights for fifteen minutes. In 1988 the show was extended to 1/2 an hour. In 1996 it was extended to 1 hour, but the following year it was back to a 1/2 hour show. In 2001 the show was one of the first TV shows to be screened in the new Wide-screen format. C'mon the most famous NZ pop music show of the 60's screens, and is hosted by the late Peter Sinclair, and has launch the career of many local musical artists. Spot On, a kids magazine show begins its 15 year run. The Christchurch Commonwealth Games Screen on TV One. Due to size of the event, the coverage was broadcasted in both colour and black&white. The local night-time soap opera Close to Home begins as NZ first twice weekly soap. It is modelled after the UK soap Coronation Street. TV-2 begins in Auckland and Christchurch, bring completion for the first time. The following weekend, the first Telethon is broadcast raising half a million dollars for St Johns Ambulance. 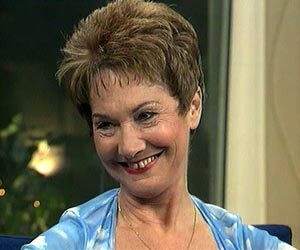 South Pacific Television (TV2), Ends with a two hour farewell show at 10pm. Landmarks, a classic 10-part documentary series about NZ debuts. The first attempt at private Television begins with a 2 hour magazine show from 10am to Noon on TV One with the short-lived Good Morning show. Te Karere, the long running Maori news programme begins on TV2 at 5.55pm (4 minutes), but by the 1990's was extended to between 10-20 minutes on TV One. One Network News moves to 6pm timeslot from today. Holmes, a current affairs show hosted by Paul Holmes, begins it's long run at 6.30pm with the famous Dennis Conner interview. and at 7pm the new game show Sale of the Century debuts. SKY TV, the first pay television network in this country begins. The first choice of channels on offer are CNN, HBO, and a sports channel. The defunct music channel, Max TV channel begins in Auckland. Horizon TV (4 regional channels) begins. Ready to Roll is reborn as RTR 2000, on Saturday night at 6pm on TV2 and continues screening till December 2003. Shortland Street celebrates it's 2000th Episode. Prime TV is re-launched after going into partnership with Channel Nine Australia. Shortland Street celebrates 10 years on the air, and is New Zealand's longest drama series. Maori Television begins daily transmissions at 6am with a 5 hour live launch show from its tv studios, inside and outside, plus a sampling of its programmes. June, 2004 Shortland Street airs it's 3000th Episode. C4 Celebrates it's 1st Birthday with a party at the St James in Auckland, and asks viewers to send them a birthday card for a chance to win tickets to see top new zealand music acts live at the party.